Sony has had a very rocky year. Their mobile line has seen a considerable decline over the past two years. I believe there was a statement that said that they had let go of their mobile division. But this seems to be untrue given that Sony still went on to release the Xperia Z5, killed their Z line of flagship devices and re-branded with an X and also released a flurry of mobile devices with the new X tag. (XA, X, X PERFORMANCE, XA ULTRA). First off Sony are still solely keeping the phone box design alive, the device features a 146 x 72 x 8.1 mm metal unibody and weighs 161 g (5.68 oz). Sony retains the same design pattern that was used for the Z line Xperia devices. The device is IP68 certified which means it is dust proof and water resistant over 1.5 meter and 30 minutes. The device sports a 5.2 inch 1080 x 1920 pixels ( 424 PPI pixel density) IPS LCD capacitive touchscreen. The device is protected by Corning Gorilla Glass and will feature Sony’s Triluminos display and X-Reality Engine. The device runs Android 6.0.1 marshmallow with the latest version of the Sony UI. The lack of Android 7.0 Nougat is a shame, but we can forgive that given Google’s latest OS was released approximately 45 minutes before the Xperia XZ’s launch. Sony joins the bandwagon of mobile manufacturers to ditch the 16Gb storage option and starts with the 32Gb as its base storage with the 64Gb version. The Xperia XZ will support micro-SD, up to 256 GB. Sony has never been subtle on the camera front and still boast some of the best cameras you’ll find on any smartphone. That being said the Xperia XZ carries a 23 MP, f/2.0 aperture and a 24mm lens with features like geo-tagging, touch focus, face detection, HDR, panorama. The camera also supports phase detection and laser auto-focus and comes with a LED flash. The camera will be able to shoot videos in 2160p@30fps, 1080p@30fps, 1080p@60fps. The front camera is something special; it features a 13 MP, f/2.0 aperture, 22mm lens and 1/3″ sensor size camera. 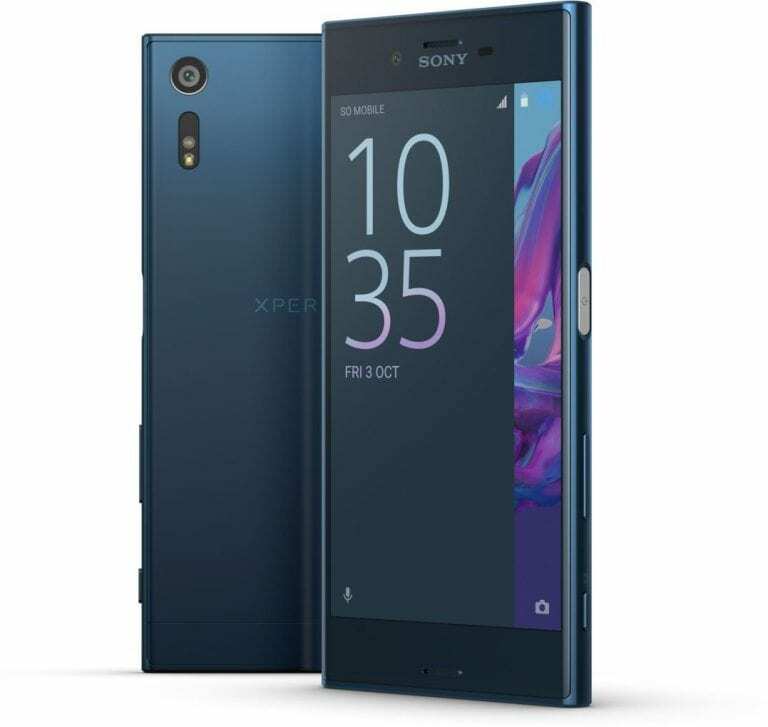 The Xperia XZ launches in single and dual-SIM variants, all of which offers support for all GSM, HSPA and LTE network bands. The device launches with a v2.0, Type-C 1.0 reversible connector; USB Host as well as a dedicated Fingerprint scanner. The XZ supports accelerometer, gyro, proximity, barometer, compass, colour spectrum sensors.